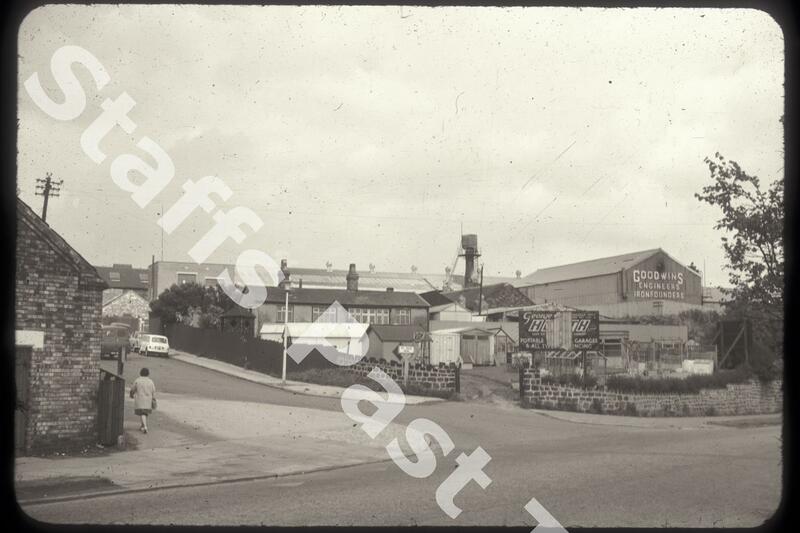 Description:This photograph was taken from the corner of Leek Road looking north up Ivy House Road. The Goodwin Foundry is the large works on the right. The company has been on this site since being founded in 1883, initially as iron founders and latterly specialising in high quality steel and alloy castings. 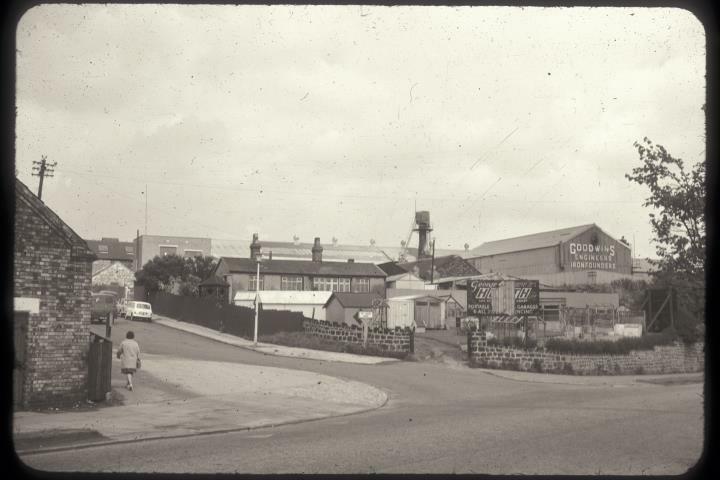 In the foreground is George Heath's, a company producing garages and sheds. Heath's bungalow has been demolished and this has become the Goodwin Group Offices. Further up Ivy House Road is the Caldon Canal. The brick building on the left edge is an electricity sub station.